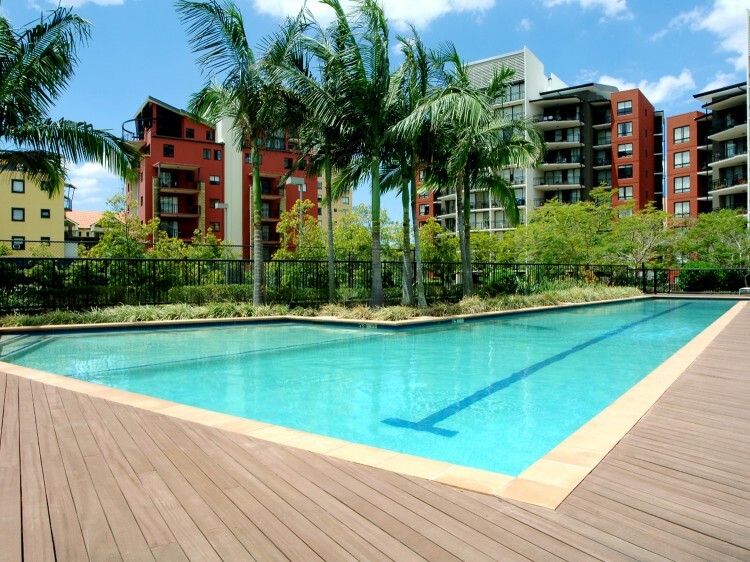 The Docks on Goodwin is conveniently located in the heart of Kangaroo Point. Two towers of accommodation provide secure and comfortable inner city living at this popular resort like complex close to the river walks and ferry terminals. 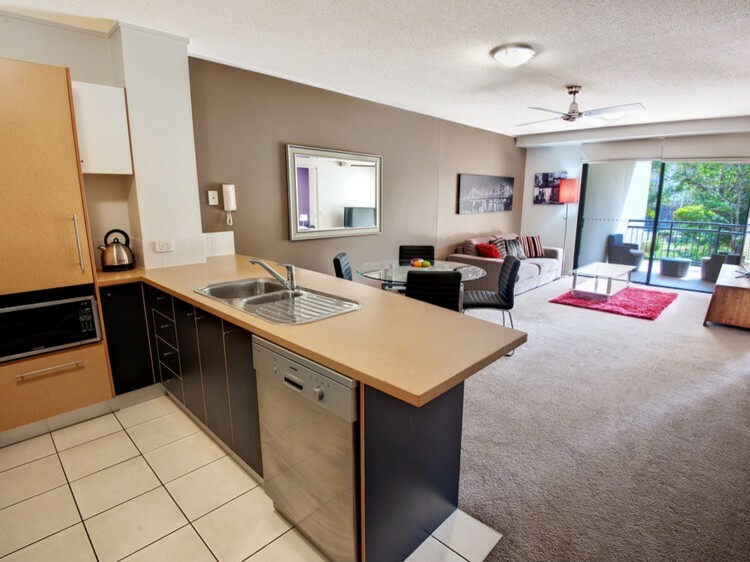 For short and long term stays, the contemporary studio, one and two-bedroom fully self contained apartments offer the discerning traveller spacious, convenient and affordable living. There are plenty of local restaurants to choose from including Louey's Italian Restaurant next door and the Story Bridge Hotel is adjacent. Convenience stores, cafe/delicatessen, bottle shop and hairdresser/beauty salon are all nearby. 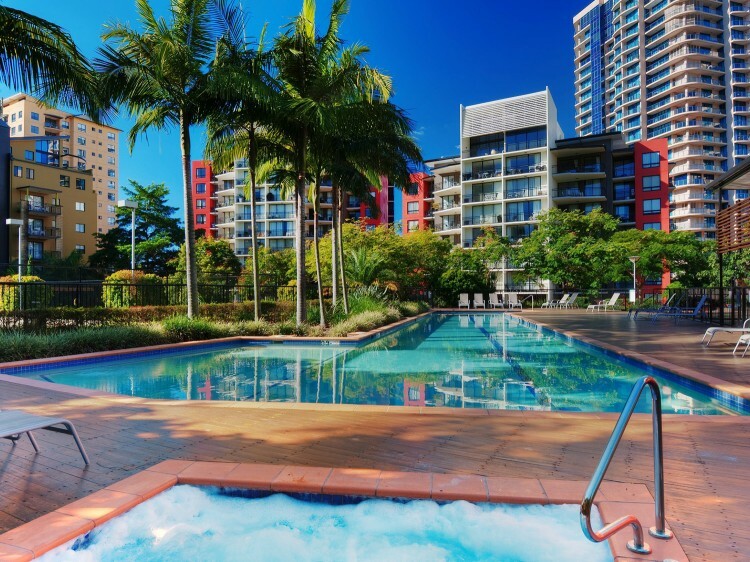 Facilities include a gymnasium, 25m heated lap pool, spa, sauna, full size floodlit tennis court, barbeques and wide screen theatre, all in a location with easy access to the CBD, public transport and a variety of dining options. 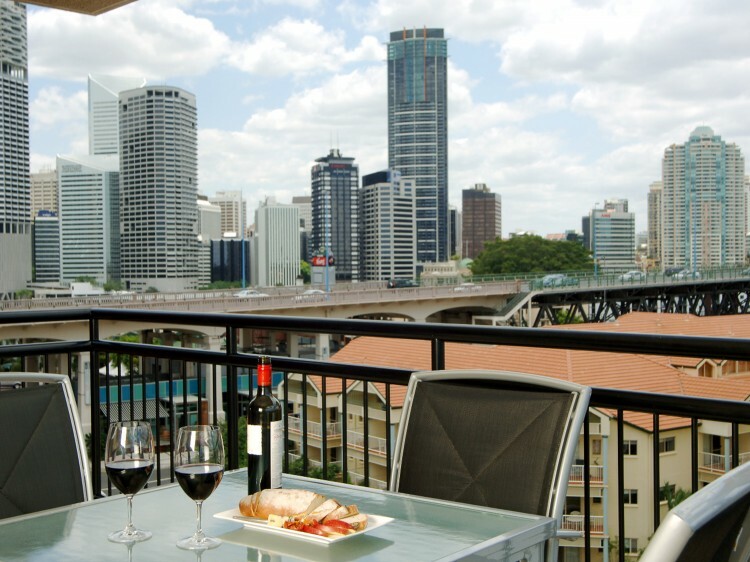 The Docks’ Kangaroo Point location connects to the CBD and Fortitude Valley via Brisbane’s landmark Story Bridge, which also provides an easy 20 minute transit to Brisbane Airport’s domestic and international terminals. Separate living and dining area, balcony, full laundry facilities and fully-equipped kitchenette with cooktop, dishwasher and convection microwave oven (50 square metres excluding balcony). Spacious and fully self contained featuring a large living and dining area leading onto a private balcony or courtyard, which is also accessible from the bedroom. The dual entry bathroom includes full laundry facilities (50 square metres). One bedroom apartment with study area providing extra space with a desk and double sofa bed for an additional person if required. Large balcony or courtyard opens off both lounge and bedroom, bathroom includes full laundry facilities (60 square metres). Spacious and fully equipped two bedroom, two bathroom apartment with contemporary furnishings featuring a large balcony off living area, master bedroom with ensuite and separate balcony (90 square metres). Arrivals outside of office hours must be arranged with onsite management prior to arrival. If you are arriving outside of office hours, please contact onsite management prior to arrival.